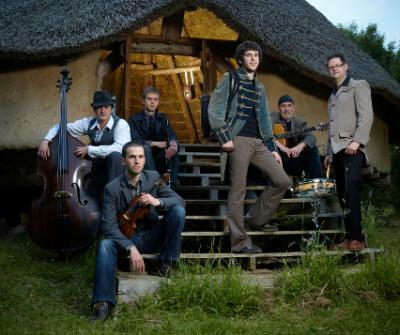 Jamie Smith's MABON are Wales' finest purveyors of original InterCeltic music. As comfortable on a world music stage as in a folk setting, theirs is a music that travels beyond borders to explore the forms and styles of the Celtic traditions and work then anew. Through songs and melodies, from thoughtful lyrics to joyful jigs, graceful mazurkas to ecstatic muñera, here is a band that can take you on an emotional journey. More than just a show, more than inspired composition and skilful arrangement, you can expect to witness the joy of creating music expressed in dynamic, virtuosic performance. Tunesmith, accordionist and lead singer Jamie is joined at the front of the stage by fiddler Oliver Wilson-Dickson (of Ian Macmillan Orchestra and Zsapora renown) and by Adam Rhodes on bouzouki. Recordings and occasional concerts also feature special guest Calum Stewart, Scotland's leading exponent of the wooden flute. These are musicians whose intimate relationship provides a rich and flexible soundscape, where delicate touch and driving tune are instantly interchangeable; where lush, textural harmonies can underpin lyrical song, or swift, slick rhythms can propel lightning melodies. Behind them are two consummate accompanists, Matthew Downer on electric and upright basses and percussionist Iolo Whelan at the drum kit. Between them they create a fluid yet undeniably solid and groovy foundation, tastefully supporting the front line through gracious airs, cantering songs and dancey reels alike. Jamie Smith's MABON is a band that draws readily on the vast range of its members' influences, but does not attempt to make 'fusion'; instead it is a constant pursuit of integrity in seeking to explore the music that gives them - and their listeners - joy. 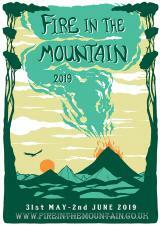 Their most notable performances in recent times include WOMAD, Womex, Fairport's Cropredy Convention, Celtic Connections, and the massive Festival Interceltique de L'orient, as one major festival after the next becomes unable to ignore the band's quality, sheer exuberance and ever-increasing profile. Autumn 2012 sees the release of a new album - a studio release to surpass all four of their previous albums in taste, musicianship, breadth and style. The more established instrumental sound has expanded to include songs: the two aspects co-exist happily, tied together by their similar treatment - a genuine pursuit of beautiful, original music through inspired composition, skilful arrangement and exceptional performance.